Blue Origin, LLC is an American privately funded aerospace manufacturer and spaceflight services company headquartered in Kent, Washington. Founded in 2000 by Jeff Bezos, the company is developing technologies to enable private human access to space with the goal to dramatically lower costs and increase reliability. Blue Origin is employing an incremental approach from suborbital to orbital flight, with each developmental step building on its prior work. The company motto is Gradatim Ferociter, Latin for “Step by Step, Ferociously”. 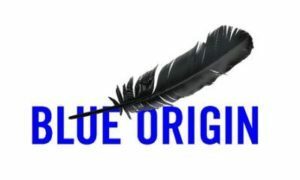 Blue Origin is developing a variety of technologies, with a focus on rocket-powered vertical takeoff and vertical landing (VTVL) vehicles for access to suborbital and orbitalspace.The company’s name refers to the blue planet, Earth, as the point of origin.